DC's much better, down where it's wetter. Warner Bros and DC need a hit, and its biggest risk might just be the movie to deliver it. After the relative critical and commercial failures of Batman v Superman: Dawn of Justice, Suicide Squad, and then Justice League, against the successful Wonder Woman, the sole hope for the universe formerly known as the DCEU (which is currently without an official name) this year is Aquaman, a character that for a long time was considered a joke. 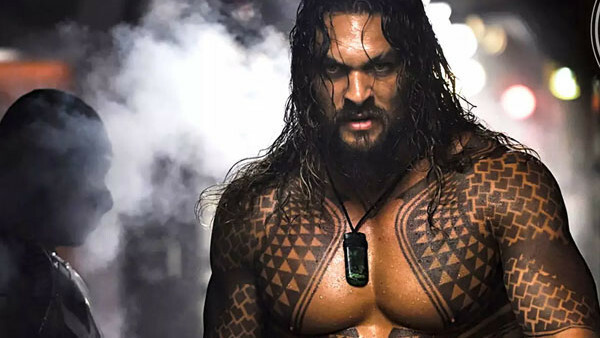 To be making a movie based on the seafaring superhero was once a risky proposition, and it still is to an extent, but with star Jason Momoa and director James Wan driving things the prospects are looking better than they have any right to be. Somehow, based on what little we've seen and heard, Aquaman is set up to be pretty good. While we've yet to see a trailer, one should be arriving sooner rather than later, and to herald the beginning of the hype Entertainment Weekly have a big cover story on the movie, bringing with it a wealth of new details and images that gives us our best look yet at how the movie is taking shape.